There is an ongoing, evolving debate about the best way to deliver sales training programs. At the center of this debate is the ongoing tension among traditional instructor-led classroom training (ILT), virtual instructor-led training (VILT), and self-paced eLearning (eLearning). Download this whitepaper to help you design a program that can achieve your goals, and fit within your budget. Norman Behar is a proven sales leader with over 25 years of CEO and senior sales management experience. 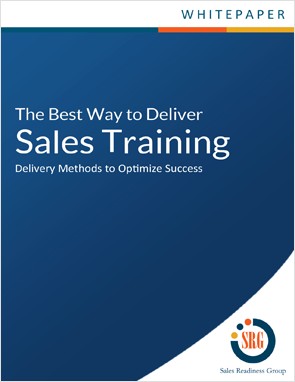 This whitepaper is based on his years of experience in learning what works and what doesn't when developing sales training programs.